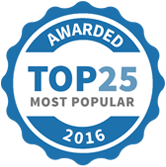 SERVICING ALL AREAS IN AUSTRALIA: either in person or online. 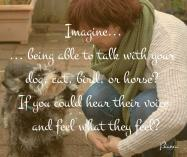 Imagine being able to talk with your dog, cat, bird, or horse? If you could hear their voice and feel what they feel? What if you were to receive guidance from your animal companion and provide reassurance in return? Think of the amazing life you could live together, full of joy and happiness? 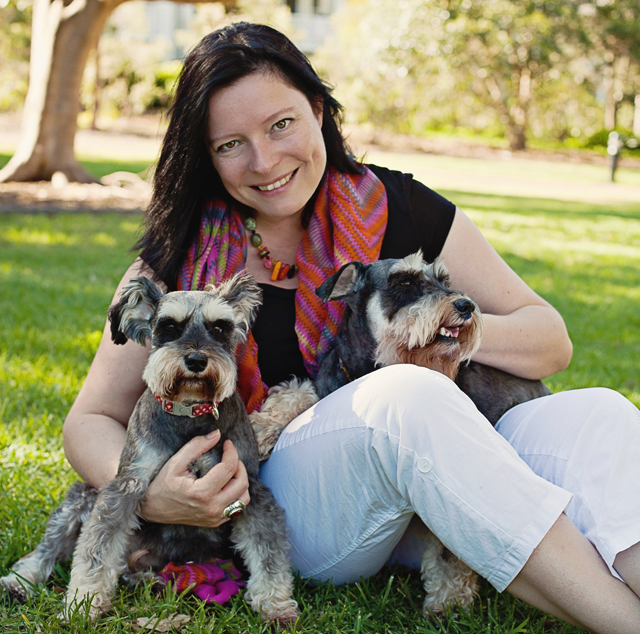 Hello, my name is Bianca de Reus and I am an animal communication, soul connection mentor, speaker and published author. 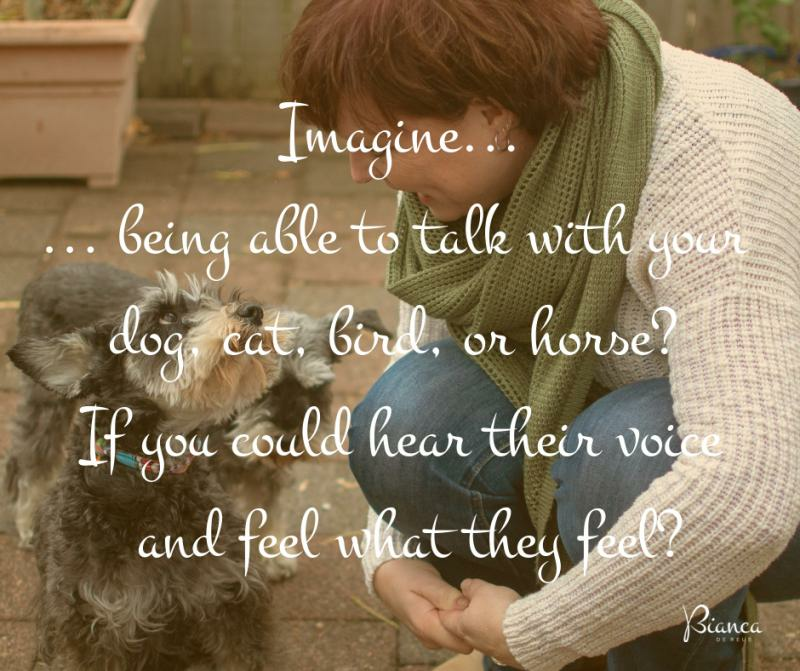 I help people deeply connect to their animal friends, by tuning into animal language, through my Connecting Soul Beings Programs, one-to-one and in groups. Allow me to help you and your pet, through a practical process, establishing a solid action plan for you both to move forward happily together. We work together via one-to-one consults in person or online. Group workshops are also available. My mission is to help 5 million people and 1 million animals around the world, so they deeply and intuitively understand and love each other, to live together in love and harmony. I do this by way of energetic healing, communicating with animals, teaching other to do the same through coaching and mentoring. Are you joining me? I invite you to call me to book your FREE Discovery Chat so you will know exactly what we can do together to help you and your pet. You will receive THREE sessions for only $880! That is a saving of $440!. Price details: We have Super Early Bird, Early Bird and VIP ticket prices BRING A FRIEND FOR FREE!! What if you were to receive guidance from you animal companion and provide reassurance in return? Think of the amazing life you could live together, full of joy and happiness? Bianca de Reus is the creator of Connecting Soul Beings Institute and she will be your spiritual teacher, practical guide and mentor for this very unique workshop. 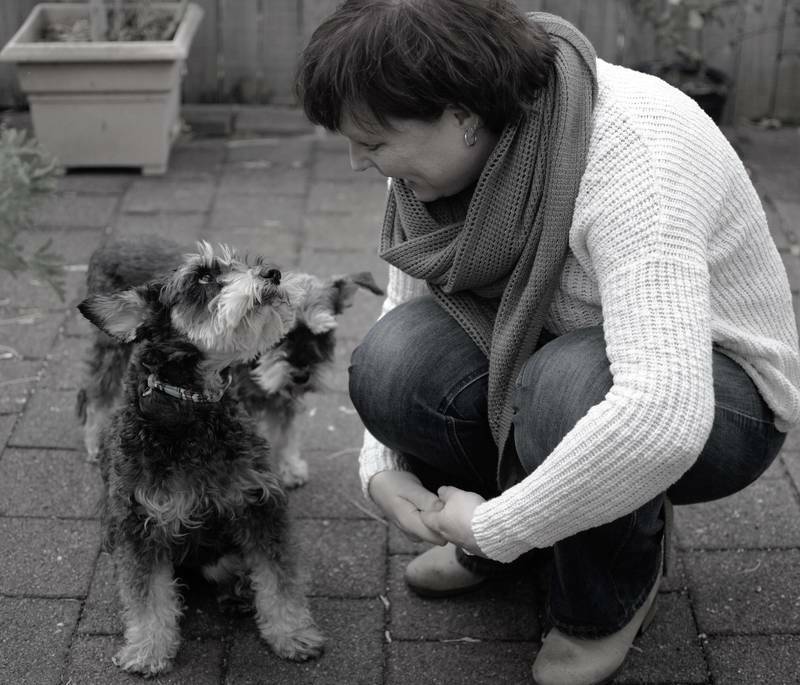 Bianca will support you in remembering how to communicate with your animals by leading you through meditation and practical exercises that gently support a conscious unfolding of your empathetic/intuitive awareness. This will inevitably lead to a deeper connection with yourself, your animals, and the divine. 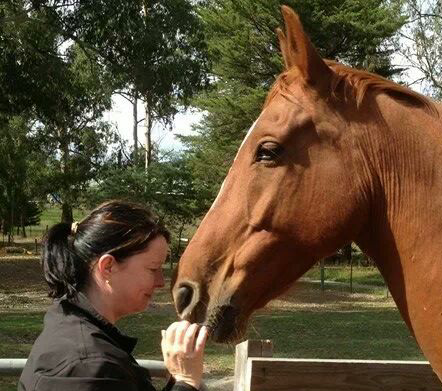 You will learn how to sense and decode what animals have to say, and how to understand them so much better. This will allow you to serve and care for them so much more effectively than you can currently imagine. She will also teach you how to apply healing, called Reiki, so you can help your animal friends experience profound relaxation in body, mind and spirit; energy healing has very strong physical effects. You will learn the skills in intuitive animal communication and you are introduced to the principles of Reiki energy healing and best of all your animals will simply light up with joy when they sense the change in you after you attend this workshop! BOOK YOUR TICKET BY CONTACTING BIANCA - Early bird tickets available for a limited time only. 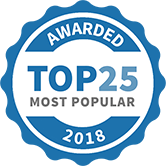 Connecting Soul Beings with Bianca de Reus has been selected as one of our Most Popular Health and Fitness Services!